Scott Shellstrom is the modern day Da Vinci, and inspires teams everywhere to rediscover their own ability for creativity and innovation. As a former advertising executive, Scott knows that creativity is more than an art, it’s a skill. Creativity is the most important commodity for success in business today, and a unique solution to problem solving. 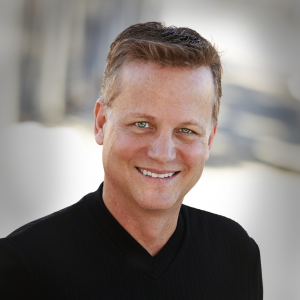 Scott’s sensational Unleash Your Inner Da Vinci™ keynote is an energetic, interactive experience that unites and excites audiences to uncover their hidden problem-solving abilities to achieve success in business and personal life. He combines his experience, stories, improv comedy techniques, and art to ignite the creative force in audiences with moving, rarely heard stories of Leonardo da Vinci, laugh-out-loud improvisational comedy, and masterpiece paintings done in four-minute… upside down! His primary goal is to inspire teams as they collaborate and support one another to find unique solutions to everyday challenges. Scott’s program is exciting, interactive, and empowers the spirit of audience members. To bring Scott to your next meeting or event, contact Michelle Joyce.